This statistic illustrates the type of online purchases by individuals in the Netherlands in 2018, by age. As of 2018, roughly 19 percent of the Dutch 25 to 45-year-olds bought digital study materials. 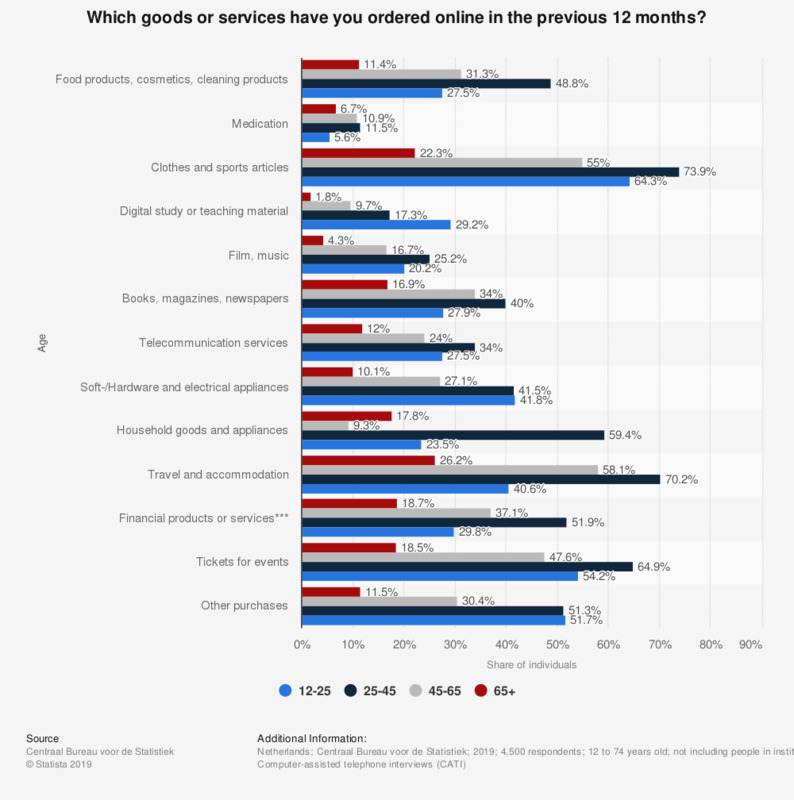 Original survey question: "Could you indicate for the following goods or services if you have ordered or purchased them in the previous 12 months for private use?"